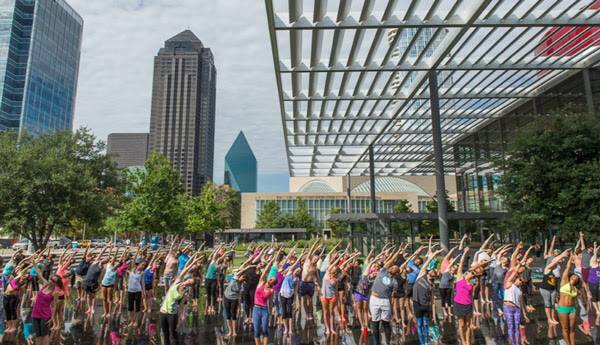 Join us for our 2nd Annual Dallas Yoga and Fitness Festival Presented by Topo Chico USA! This festival celebrates being active in all forms with a day full of over 40 health and fitness classes spread across AT&T Performing Arts Center’s campus. With the purchase of a Yoga and Fitness Festival ticket, patrons can participate in 4 classes and receive a swag bag full of healthy goodies. Classes are 45 minutes beginning every hour at 9:00 a.m. and include Pilates, meditations, dance cardio, deep stretch yoga, flow yoga, and more. Purchase Yoga and Fitness Festival tickets for only $30 before March 4 when the price increases to $35. All proceeds will benefit the Center’s education and community engagement programs. These programs allow the Center to provide students, families, and lifelong learners with opportunities to experience the performing arts!